Cheating during examinations is a criminal offence by virtue of the Nigerian law. Cheating during examination, stealing question papers, impersonation, disturbances at examination, obstruction of supervision, forgery of result slip, breach of duty, conspiracy and aiding attracts a minimum punishment of N50,000 and a maximum of five years imprisonment without the option of fine according to the Examination Malpractices Act No. 33 of the 1999 Constitution. But this has not deterred Nigerian students across the nation’s educational institutions at all levels from engaging in exam malpractices. As the educational institutions are devising methods of preventing examination malpractices, the students are also devising new and more sophisticated ways of cheating. 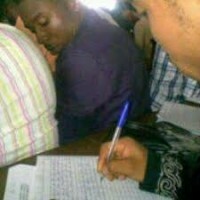 Nigeria students have very funny ways of cheating during exams. It has different names like expo, nje, microchip, chukuly and several others. Below are ways Nigerian students engage in exam malpractices. 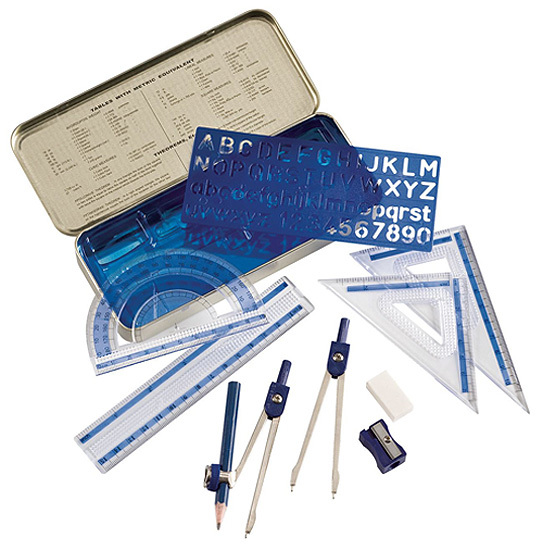 Students especially those in secondary school are allowed to enter the exam hall with their math sets and four figure table especially during science-based papers. Some students take advantage of this opportunity and scribble answers on the mathematical instruments. Some hide answers in between the math set and four figure table so even when the invigilator searches, these microchips still find their way into the exam hall. Some would scribble answers on parts of their body, from the palms to the thighs and when they get into the exam hall, they open up and begin to copy to their answer sheet. Most students don’t this method anymore as it has failed a number of people especially when there’s power and the fan is turned on. This mostly happens when students are assigned seats based on their exam number. Before the exams students take advantage of the opportunity to stick expo materials under the desk. Some write on the desk so even when they are searched before the exams, nothing incriminating will be found on them. Students would go to whatever length to get their chips into the exam hall without being caught. 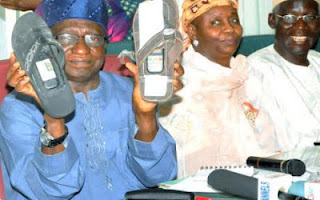 Some write on their shoes, slippers and walk majestically into the exam hall without being caught. This technique involves writing on blouses, boxers, socks, brassieres, handkerchiefs and a host of others. When the invigilator searches for chips, it is very hard to detect. Some of the students make use of these chips without being caught. Though mobile phones are not allowed in the exam hall, students find a way of sneaking it in. Someone on the outside sends them answers through text messages or whatever means. Some students would almost break their neck in an attempt to copy the answer of someone else. Most of them do it codedly without being caught. This approach is used mostly during multiple-choice exams. It is a non-verbal communication between candidates during exams. Prior to the exams, they would have agreed which finger represents the options which are mostly A, B, C, D and E. Raising two fingers could represent option B and so on. 10. Asking questions: Some who do not want to go into the hall with expo ask their friends or anyone sitting around them for answers in a very coded manner. Someone who knows the answers to the exam questions would write it on her question paper and pass it to another student in need, exchanging papers. This is practiced mostly among the ladies. They smuggle pieces of paper bearing answers into the examination hall by hiding the chips in their hair. They pretend to be scratching their hair and the chips come out from the hair. In this method, a student purchases a substantial amount of bubble gum, empty all of it, write the answers on the pieces of paper used to wrap the gum and then repackage it. He or she then takes the gum to the hall and the invigilator would not suspect anything. Some students hire people to sit for their examinations and most of the time they these mercenaries come at an expensive price. Some students are known to input answers into their scientific calculators and programmable wristwatches prior to the examination. Some are now taking advantage of latest trends in technology like smart watches, especially since most invigilators are not as savvy.